A familiar nursery rhyme that children have recited as a harmless play song for generations ironically refers to one of Europe’s most devastating diseases. The bubonic plague, better known as the “The Black Death,” has existed for thousands of years. The first recorded case of the plague was in China in 224 B.C.E. But the most significant outbreak was in Europe in the mid-fourteenth century. Over a five-year period from 1347 to 1352, 25 million people died. One-third to one-half of the European population was wiped out! 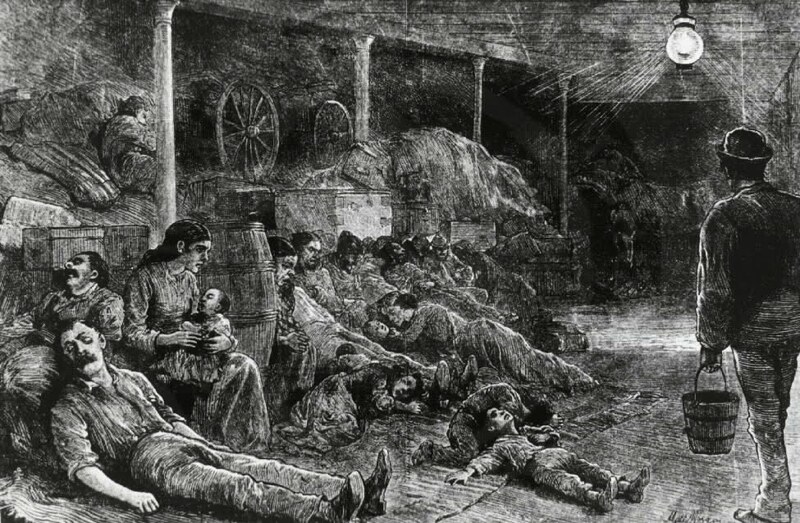 The first symptoms of bubonic plague appeared within days after infection: fever, headache, and a general feeling of weakness, followed by aches in the upper leg and groin, a white tongue, rapid pulse, slurred speech, confusion, and fatigue. By the third day, a painful swelling of the lymph glands in the neck, armpits, and groin occurred, and these enlarged areas were called “buboes.” Bleeding under the skin followed, causing purplish blotches. Dark-ringed red spots on the skin from infected fleabites, or “ring around the rosy,” eventually turned black, producing putrid-smelling lesions. The victim’s nervous system collapsed, causing extreme pain and bizarre neurological disorders. This was the inspiration for “Dance of Death” rituals. Fragile nasal capillaries led to excessive sneezing. By the fourth day, wild anxiety and terror overtook the sufferer. Finally, a sense of resignation registered as the skin blackened, giving rise to “The Black Death.” The simplistic words in the famous nursery rhyme capture the essence of plague’s horror.